Among school-age children, an estimated 11 percent are diagnosed with attention deficit hyperactivity disorder (ADHD). 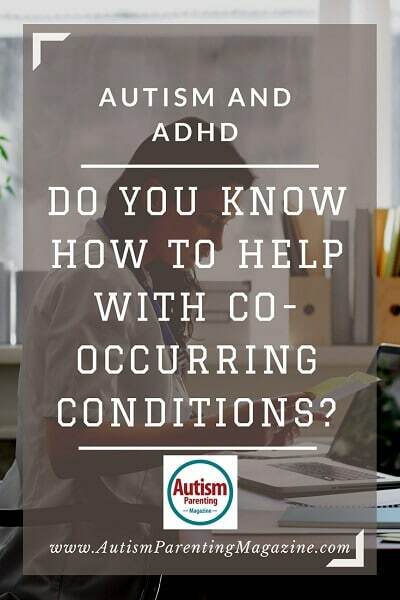 What most parents, teachers, and school counselors may not realize is that children with ADHD may also manifest symptoms of autism spectrum disorder (ASD). Having two or more co-occurring diseases or disorders is defined as being comorbid or having comorbidities. A 2014 review of studies looking at comorbidity found that “between 30 and 50% of individuals with ASD manifest ADHD symptoms (particularly at pre-school age), and similarly, estimates suggest two-thirds of individuals with ADHD show features of ASD.” Researchers also determined that children with this comorbidity often had more severe levels of dysfunction—which is why early and accurate diagnosis and effective treatment are so important for parents to help these students succeed. The good news is that many of the treatments for one disorder can be helpful for the other— which is highlighted in Strategies for ADHD: How School Counselors Can Help Today’s Students Succeed, a recent post by Counseling@NYU, which offers an online masters in school counseling from NYU Steinhardt. Here, we’ll look at strategies, like behavioral therapy, as well as the similarities and differences of both diagnoses and how they often overlap. Experts noted that it can be difficult to isolate a diagnosis of ADHD or ASD since the symptoms often overlap. What’s more, the symptoms of ADHD are often the same behaviors exhibited in typical childhood development—except that they persist and worsen over time. Available research on the comorbidity of ASD and ADHD is still scarce because prior diagnostic standards made the diagnosis of one an exclusion for the other. However, when the Fifth Edition of the Diagnostic and Statistical Manual of Mental Disorders (DSM-5) was published in 2013, it included criteria that allowed clinicians to diagnose an individual with both disorders at the same time. With the ability to better understand the impact of ASD and ADHD as comorbid conditions, more accurate diagnoses and more effective treatment options may be available. For students with these conditions, such insight gives educational professionals such as school counselors a better understanding of what strategies they can use to help these children and their parents to succeed. Although the presence of comorbid conditions presents students—and their parents—with additional challenges, the good news is that there’s help available. By accessing expert resources, like school counselors, parents can learn how to use effective strategies to help their children succeed.